A couple weeks ago, I addressed the need for pay-per-click campaign managers to add vibrancy and allure to their PPC ads through the strategic use of images. With the current trend of online media consumption being what it is, one’s target demographic is always going to be on the lookout for content that immediately grabs their attention and refuses to let go. Across Facebook, Google+ and other social media platforms, this power can be found in high resolution photos and professional level artwork. Yet, as so many online marketing consultants have begun to notice, the highest level of audience engagement is beginning to come from online video ads. 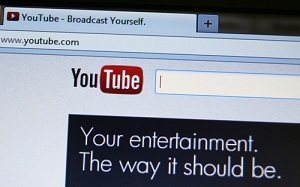 As YouTube recently opened up its pay-per-click advertising program to the internet at large, many companies are now beginning to vie for ad space before lengthy clips and videos on the network. The result is a market that is growing at a near-exponential rate yet is still able to offer more than enough potential viewers for everyone. Of course, successful video PPC ads don’t occur effortlessly. While there is always the potential that a well-crafted advertisement may go viral (the end goal for nearly any business), the odds of this happening are infinitesimally small for all but the most recognizable brands. However, this does not mean that businesses are unable to give their pay-per-click video ads the elements necessary to gain traction and solid click-through rates. It’s one of the oldest advertising hurdles in the world: how does a company sell a product that doesn’t have an immediate impact or is alluring to would-be customers? Sure, glitzy electronics and other consumer goods have a sort of draw that always gets a click or two, but only a few industries are so lucky. In order to counter lack of interest on the side of the potential audience, try to make your video ad as interesting and engaging as possible. This can be done through a well-written script, professional grade direction, and a truly dynamic presentation. Although these elements may end up costing you extra, the result is something that may intrigue people and cause them to share the video with others. This is a big one. Most advertisements that go viral these days are funny, clever, and altogether one-of-a-kind. Getting a good laugh out of your intended audience is a huge deal. A person who finds your content witty or entertaining is far more likely to repost or share the video with others than someone who simply identifies with your brand, product or service. When in doubt of how to present your company in a pay-per-click ad, always go for a laugh. Also, remember that the SEO mantra of “fresh and original content” is key with these commercials. Never take the easy route and try to capitalize on the jokes of other successful campaigns. Be smart, be unique, and you’ll do just fine.